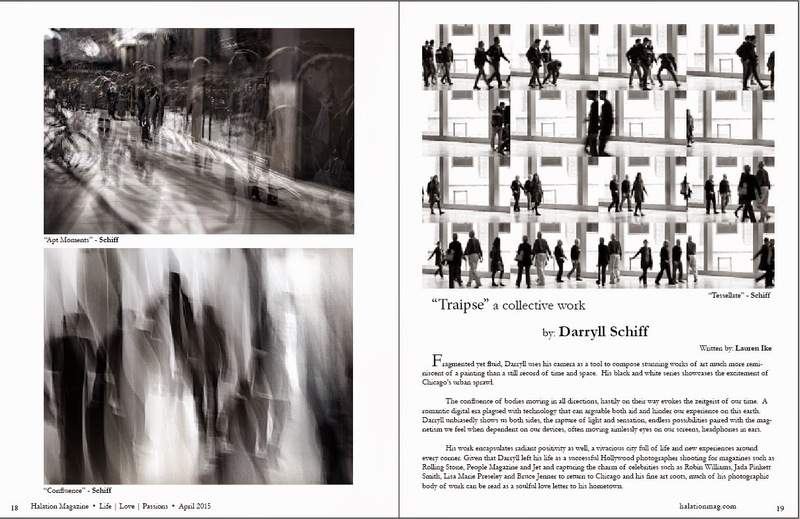 Rather than posting the actual text that accompanies Darryll’s “Trapise” photo contribution in this month’s Issue of Halation Magazine, I will leave you to purchase a copy, or visit their website for a sneak peek of the Spring Issue featuring Darryll’s work. As the author of the article, I will paraphrase some of the exciting feature and add commentary for those who have already read the Issue. 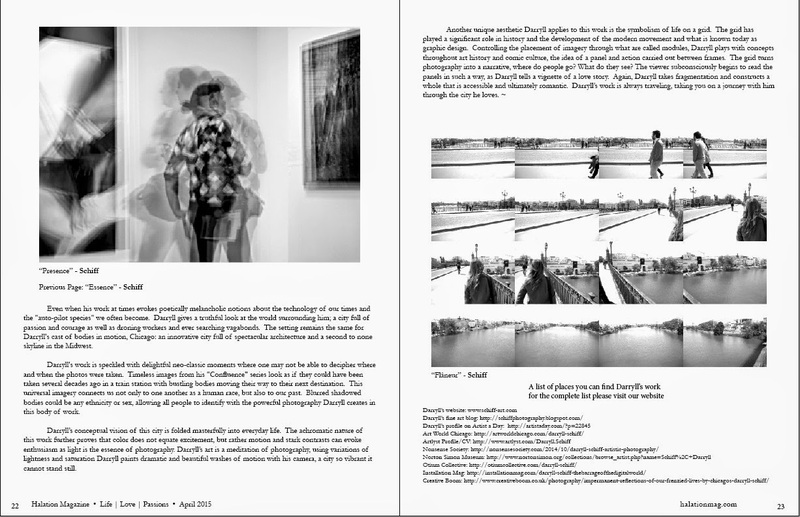 Halation Photo Magazine features black and white photography and articles from artists around the world. For Darryll, this black and white series showcases the excitement of Chicago's urban sprawl. 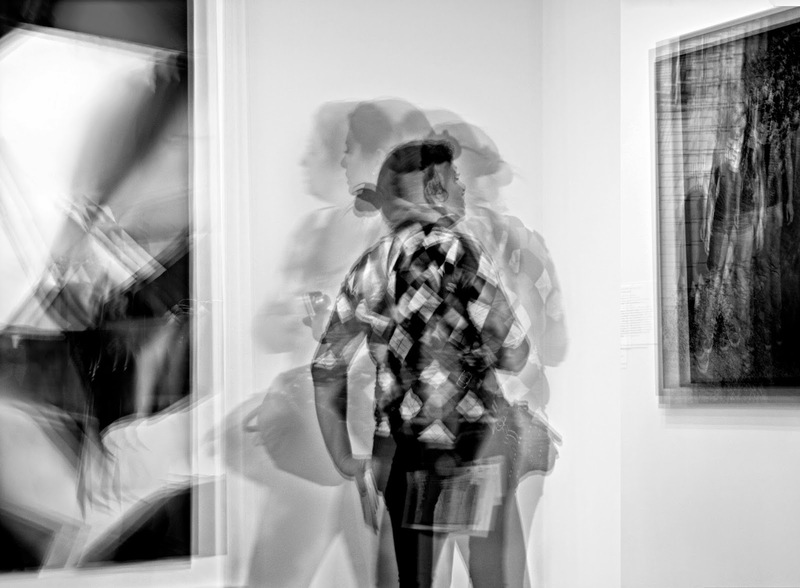 The confluences of bodies moving in all directions, hastily on their way which best evokes the zeitgeist of our time. Darryll goes beyond telling a narrative of contemporary times, he illustrates the world surrounding him, an urban metropolis he knows well. This body of work celebrates Chicago as Darryll’s home, the city where he grew up as a young boy, first attended college in design and would later raise his family. Many of our readers may not realize Darryll left his life as a successful Hollywood photographer shooting for magazines such as Rolling Stone, People Magazine and Jet while capturing the charm of celebrities such as Robin Williams, Jada Pinkett Smith, Lisa Marie Preseley and Bruce Jenner to return to Chicago and his fine art roots. Since Darryll's return, much of his photographic body of work can be read as a soulful love letter to his hometown. Through “Trapise”, Darryll proves that color does not equate excitement, but rather motion and stark contrast can evoke enthusiasm as light is the essence of photography. 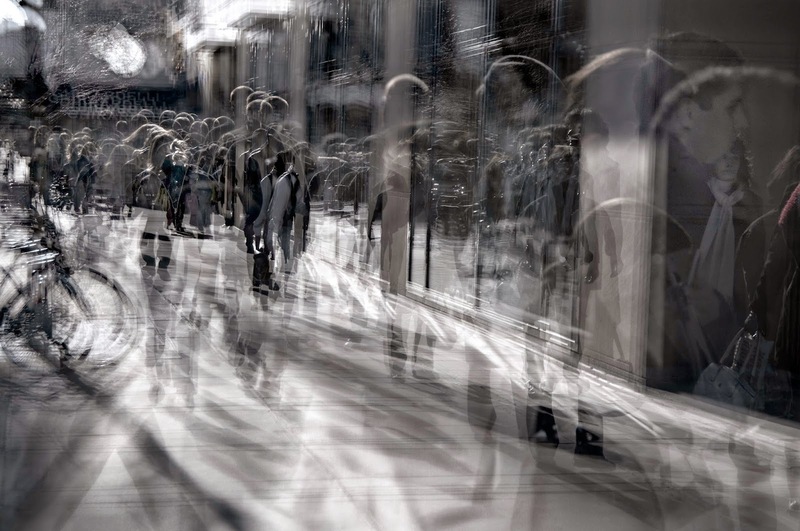 Using variations of lightness and saturation, Darryll paints dramatic and beautiful washes of motion with his camera depicting a city so vibrant it cannot stand still. His work encapsulates radiant positivity as well as a vivacious city full of life and new experiences around every corner. Darryll gives a truthful look at the world surrounding him; a city full of passion and courage as well as droning workers and ever searching masses. The setting remains the same for Darryll's cast of bodies in motion, Chicago: an innovative city full of spectacular architecture and a second to none skyline in the Midwest. A unique aesthetic Darryll uses in this body of work is the embodiment of “life on the grid.” Darryll’s use of a grid helps turn photography into a narrative, and gradually answers our questions, “Where are we going? What do we see?” Darryll tells a vignette of a love story through fragmentation reconstructed as a whole. 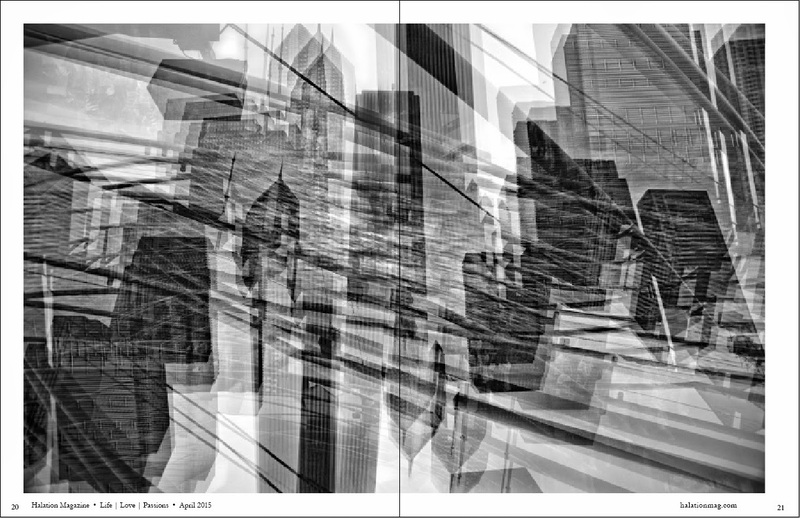 The result is romantic, through Darryll’s work we travel; we are taken on a journey with him through the city he loves.